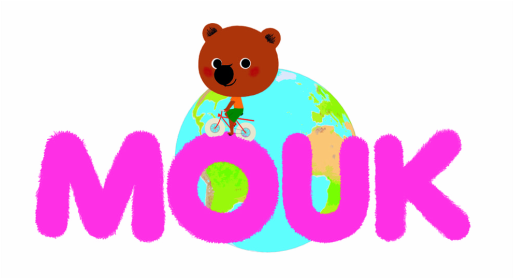 Mouk is a cute, globetrotting bear animated character based on the best-selling picture book "Around the World with Mouk" by French illustrator/author Marc Boutavant. Over 100,000 copies of the picture books have been sold in 23 countries including 50,000 in France. In Japan, Froebel-Kan Co.,Ltd. published the Japanese-language version in February 2011 and the TV series is broadcast on Disney Junior in Japan. On YouTube, Mouk has 1,000,000 page views monthly.